Gamal Abdel Nasser - Who is Gamal Abdel Nasser? Who is Gamal Abdel Nasser? 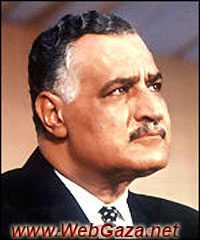 Egyptian politician, prime minister 1954-56 and from 1956 president of Egypt (the United Arab Republic 1958-71). His nationalization of the Suez Canal 1956 led to an Anglo-French invasion and the Suez Crisis, and his ambitions for an Egyptian-led union of Arab states led to disquiet in the Middle East (and in the West). Gamal Abdel Nasser was also an early and influential leader of the nonaligned movement. Gamal Abdel Nasser entered the army from Cairo Military Academy, and was wounded in the Palestine War of 1948-49.